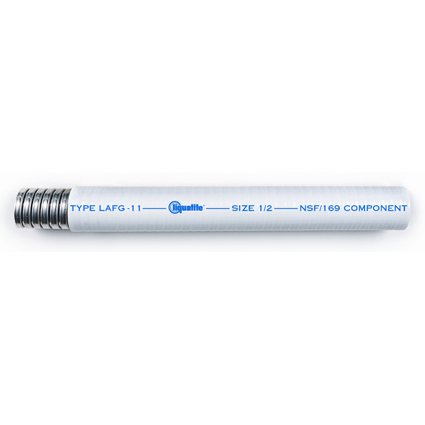 NMFG is a UL/CSA Listed Food-Grade flexible nonmetallic Type B conduit that is a Certified Component for NSF/ANSI 169 special purpose food equipment. It provides an FDA-approved jacketing, flexible protective wiring raceway, working temperatures of -30°C to +80°C, smooth exterior for easy wash down, and doesn't promote bacteria growth. Standard jacket color is white. Now both UL Listed and CSA Certified. Type ABRH is similar to Type ABR except it is formed from a heavy-gauge aluminum strip, providing superior crush resistance. It has many universal wiring applications and is available in sizes 3/8” to 3”.